WE GET BACK TO YOU IN MINUTES! Your Local Plumber in Maraylya? McMurray Plumbing is a reputable plumbing company serving the residents of Maraylya. Established over 15 years ago by Steve McMurray, we have solidified our foothold as the best plumbing company around. We offer fast, reliable and affordable services to all our clients with a guarantee of 100% customer satisfaction. Why? Because we engage you throughout the whole process to ensure you get quality services. Talk to us today on 0404 400 200. Emergency Plumbing– Do you urgently require a plumber for that backed up and gurgling toilet? McMurray Plumbing is here for you. Our fast, reliable and on-time response ensure that the situation is effectively handled in no time. Hot Water installations – We have partnered with major brands such as Aquamax, Bosch and Rheem to provide the perfect installation for your home. Gas fitting– Our plumbers are gas certified to perform all gas installations within your property. We also send out our technicians for inspection in case of gas leaks. Feel free to give us a call today. Unblocking clogged drains and sewers– We also work on those blocked drains to ensure smooth water flow in your property. 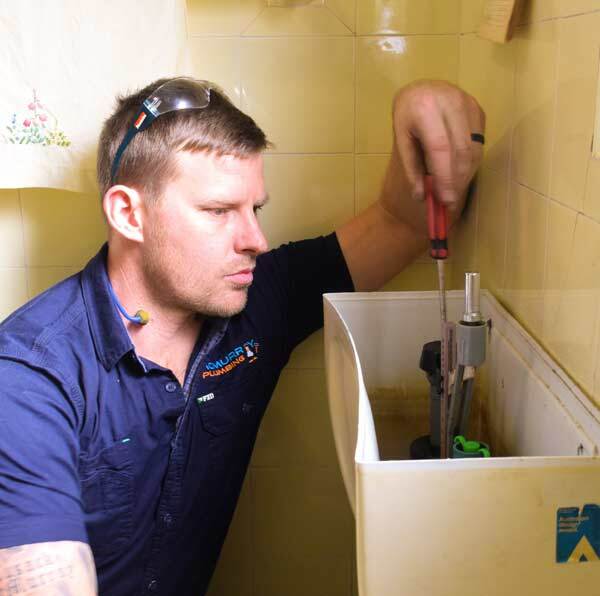 Our experienced plumbers use state of the art machinery for a fast, smooth and efficient service. Water plumbing– Involves taps, sinks, faucets, showerheads and bathtubs installations. Our crew also handles broken pipes, pipe relining and pipe location. Is that insistent water hammer giving you sleepless nights? Feel free to give us a call today on 0404 400 200. We shall get back to you in no time.